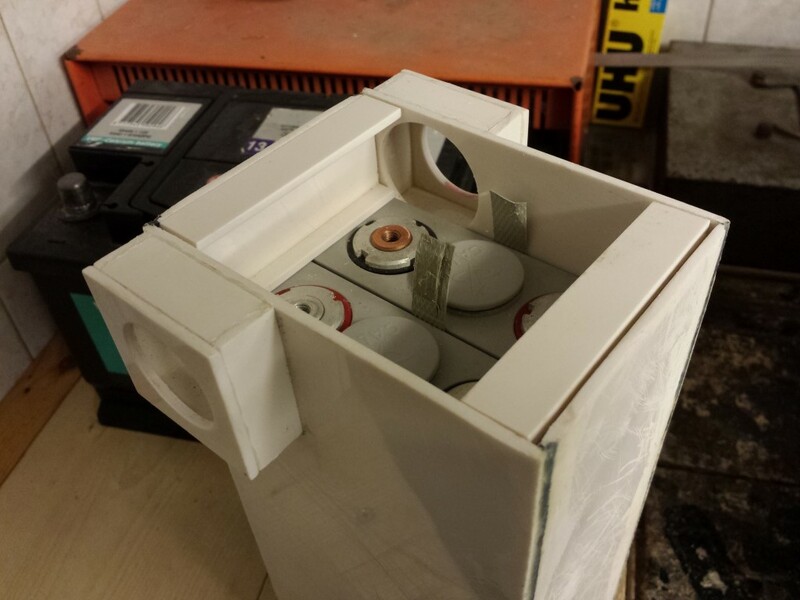 The clamps are now all attached to the battery boxes. 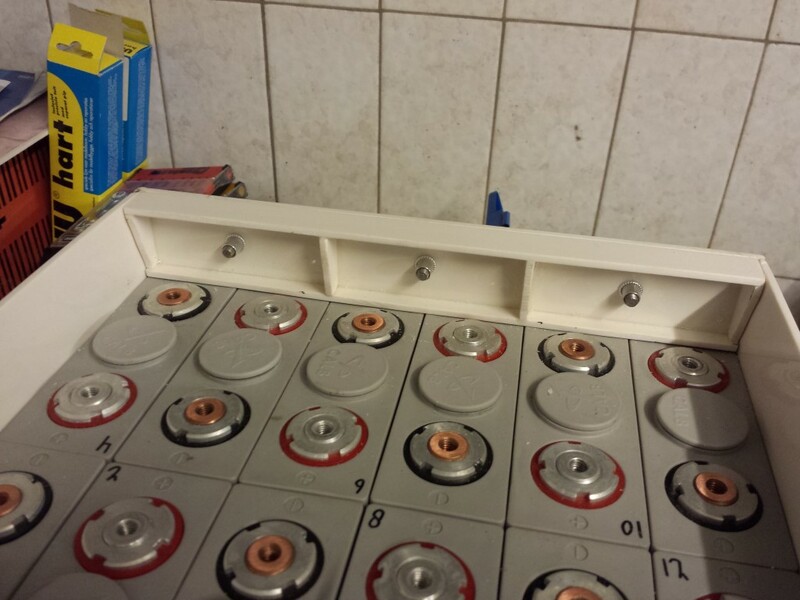 Was pretty exciting, didn't want to make any mistakes now I'm this far with the battery boxes. First I marked where the holes should come exactly. 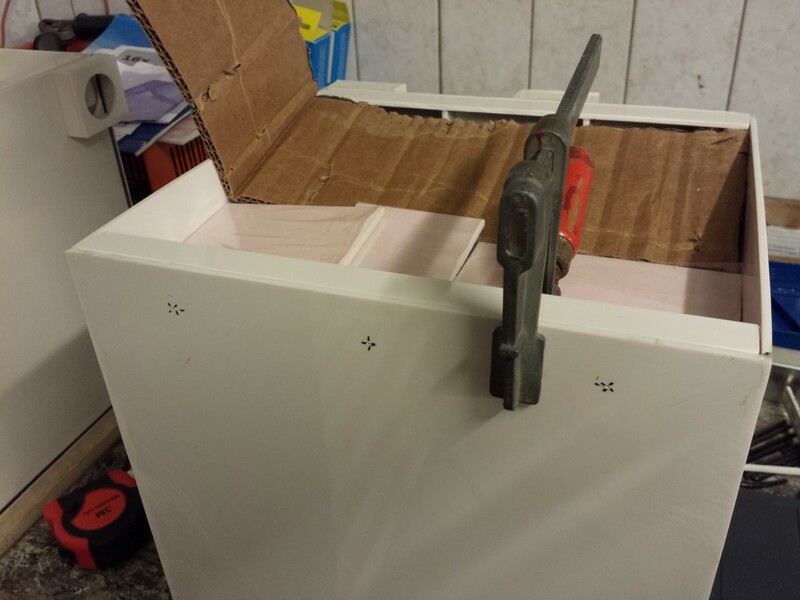 Drilled holes through the battery box and the clamps so the holes would be perfectly aligned. 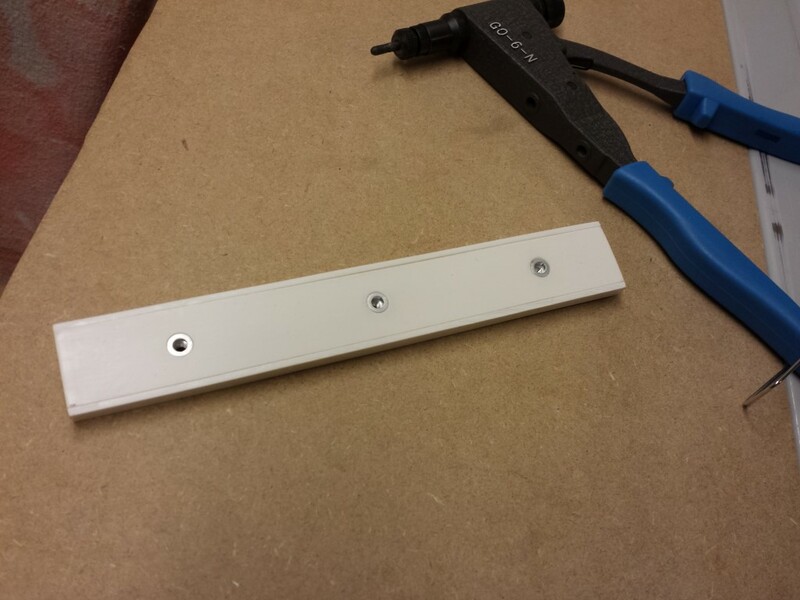 Made the holes on the clamps a little bigger and countersunk for the rivet nuts. Rivet nuts in. Did I already tell how great I think these things are? Bolts in, it all fits well and is firmly attached. The batteries won't be going anywhere. 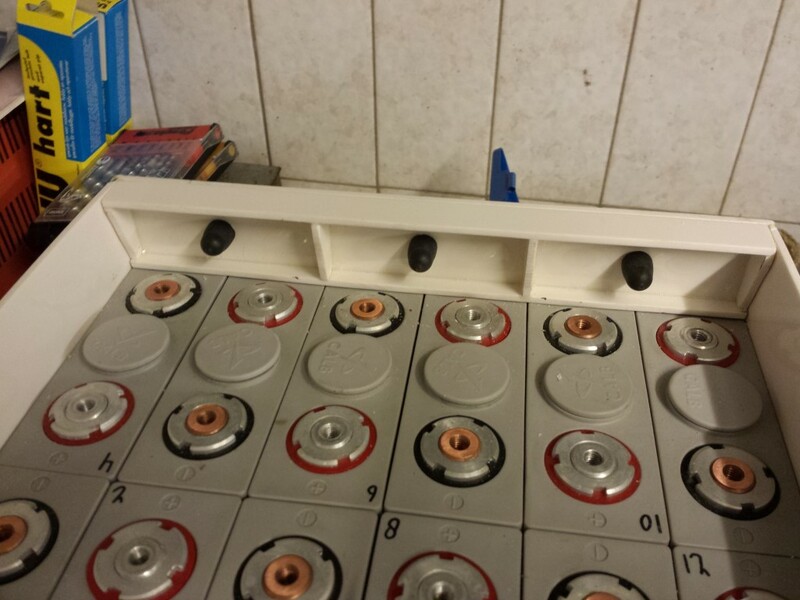 But ofcourse I won't leave any metal so close to the batteries, so rubber caps go on there. This also makes the rivet nuts waterproof. Here from the outside. 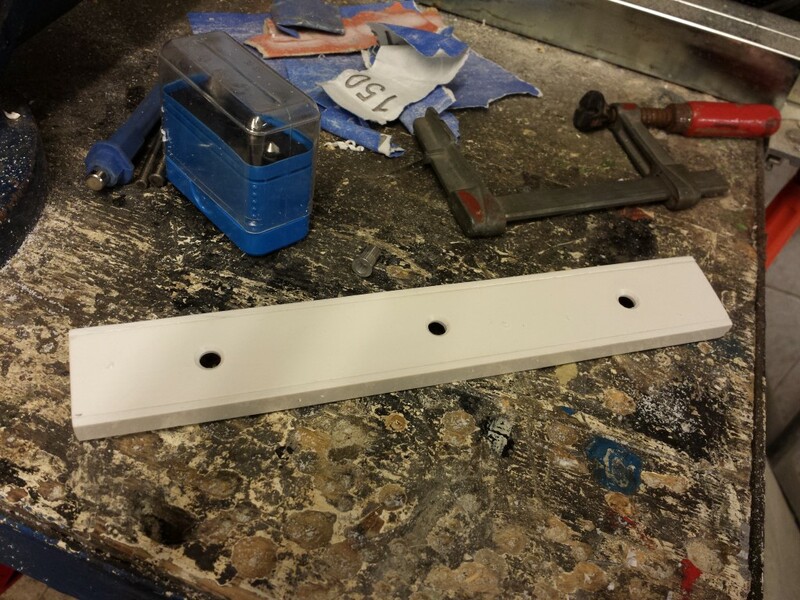 Only had to move the fastening holes a bit where the pieces for the cable glands are. For the rest it's 2 batteries for each bolt everywhere. Unfortunately I had to deviate a bit from the drawings. 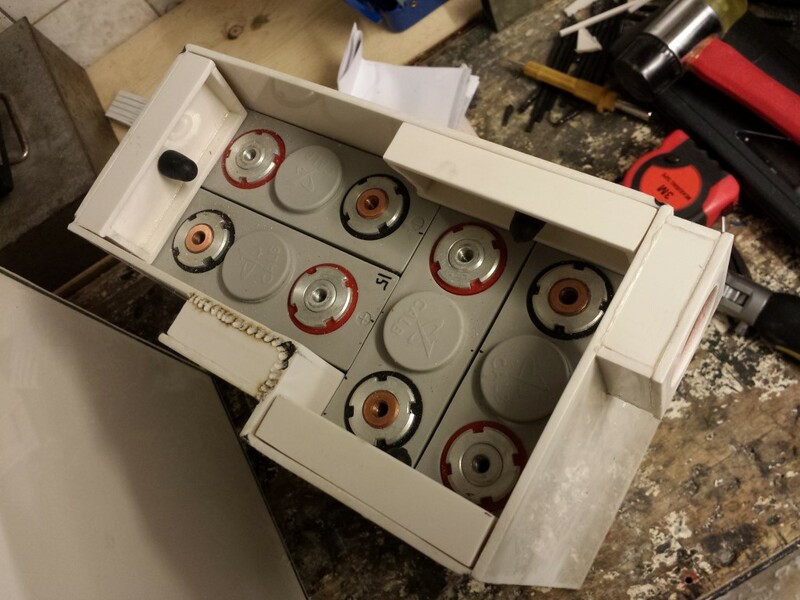 In the smaller battery boxes I could only use 1 bolt to attach the clamps (but again 1 bolt for each 2 batteries). Otherwise it wouldn't be possible to firmly attach the cover since I want to use 2 bolts on each clamp for that (4 in the bigger battery boxes). It's sturdy enough anyway, especially when the cover still gets attached to them. Total picture, the clamps are attached everywhere now. Next step, attaching the covers. Will be done the same way with rivet nuts. But I don't know if I have time for it again this week. Otherwise probably next weekend. Today I could continue again. The small partitions are all sawed and glued. Think it'll be sturdy enough like this. 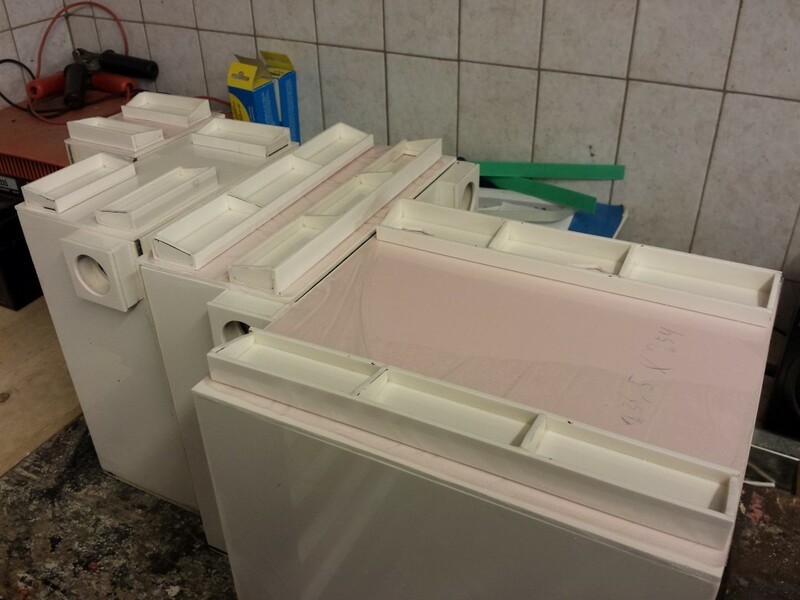 Tomorrow I'll tidy them up a bit and make the fastening holes in them. 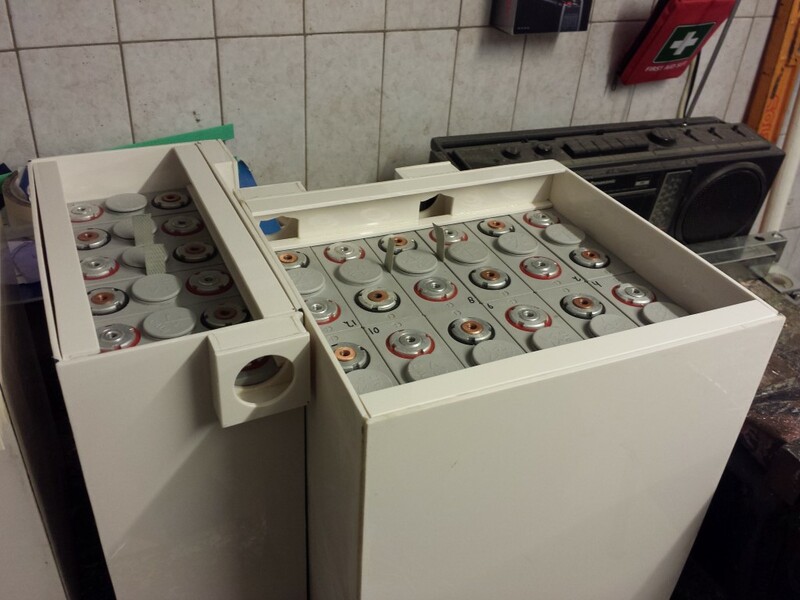 The battery boxes are finally nearing the end. 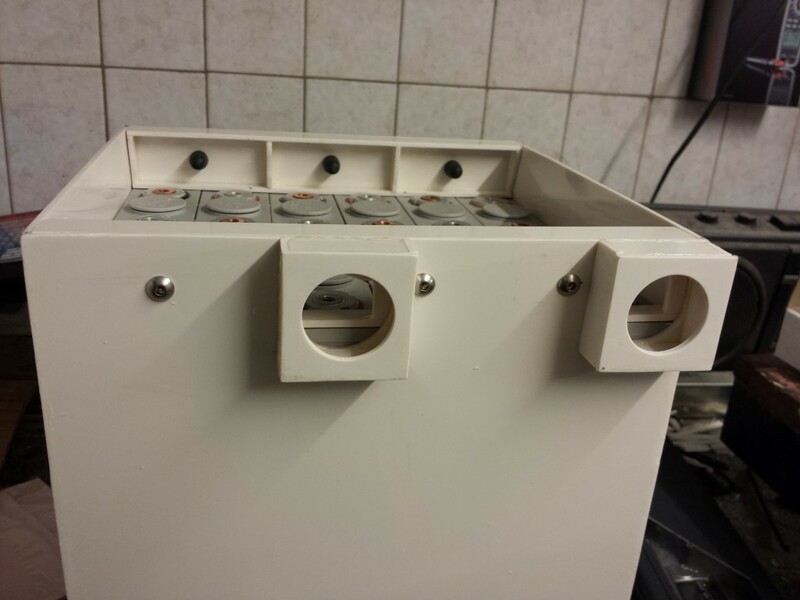 Today I made the clamps for the 2 bigger battery boxes. I had to make openings in these for the cables to pass through. Unfortunately my router bit broke so I just did this with a small saw and filed it a bit. 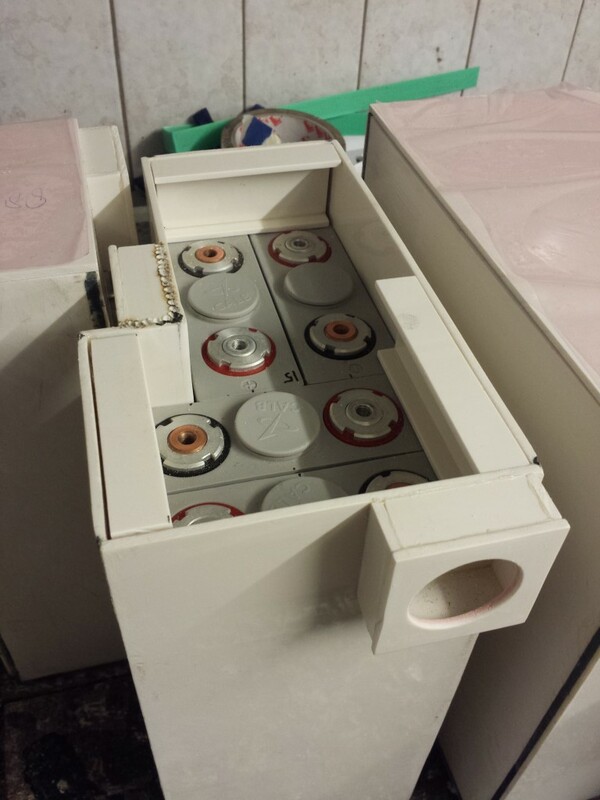 Doesn't look as nice as it could have but these won't be visible anymore anyway once the battery boxes are closed. Don't think I'll have much time this week though so I'll probably continue next weekend. Haven't really done much for 2 weeks, didn't have that much time and I've been busy with some other things. But this weekend I continued again. It won't finish itself ofcourse. 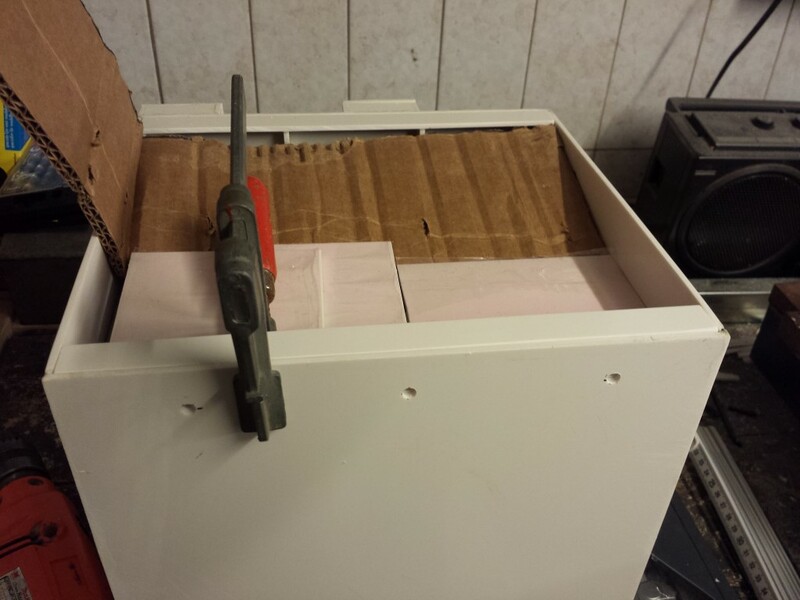 I'm busy making the clamps (and the fastening points for the covers) in the battery boxes. 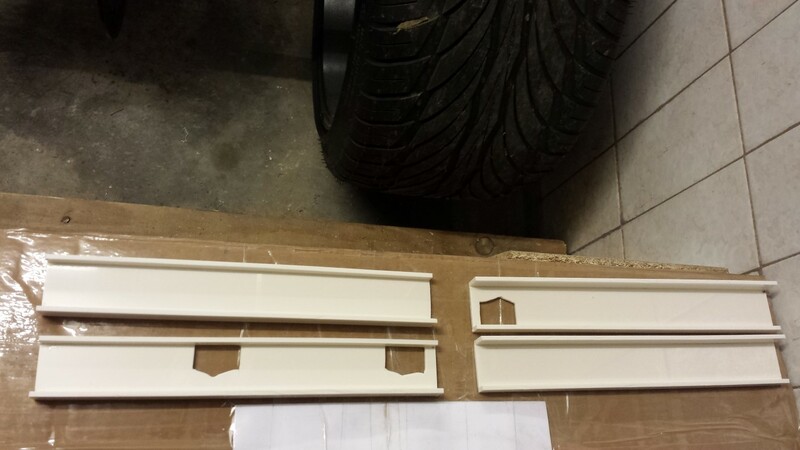 They're all small parts so it's not really easy making them on the table saw. But it's going pretty well. These I made today for the 2 smaller battery boxes. Everything's glued, sturdy enough. 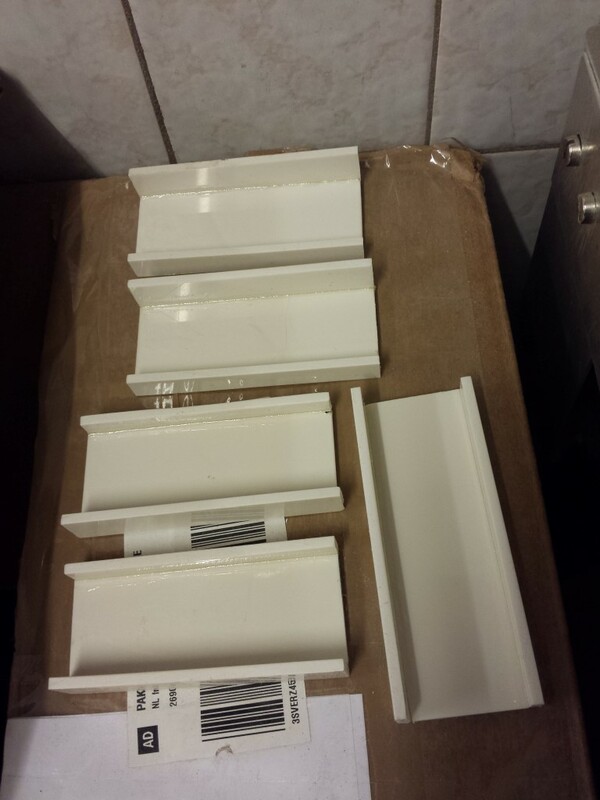 Just have to reinforce them a bit (partitions) en then drill all the fastening holes. Then these 2 are basically done. Just still have to file, sand and spray. 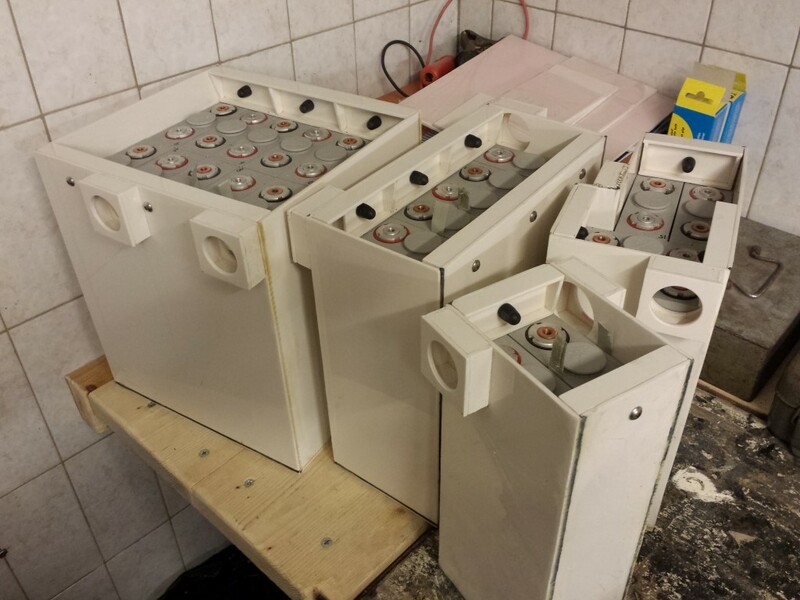 Tomorrow I'll continue with the 2 bigger battery boxes.